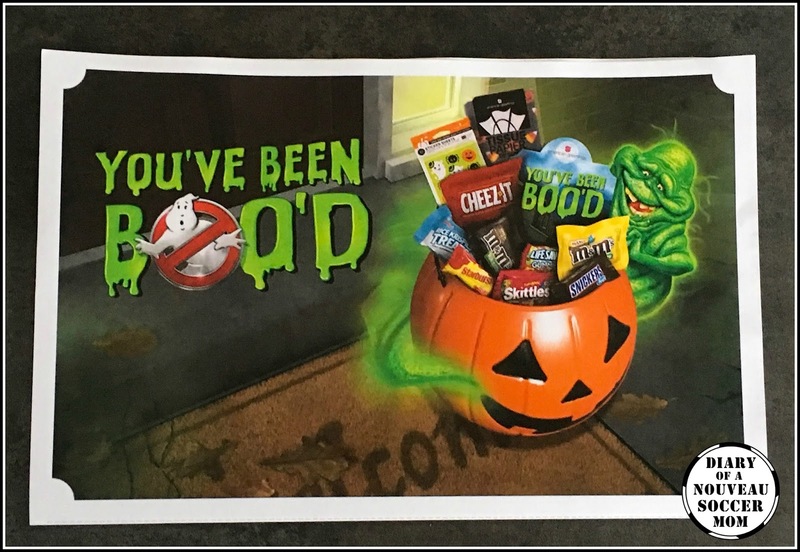 Last year, we did a blog campaign for #BooItForward and booed our neighbors. In our family-oriented neighborhood, it's a new tradition! We couldn't wait to boo our neighbors again this year. Isn't this an awesome tradition? This year, the official #BooItForward campaign is tied into Ghostbusters, and all the printables have Slimer on them! We received a copy of the movie in our Boo basket to get things started for the purposes of this post. 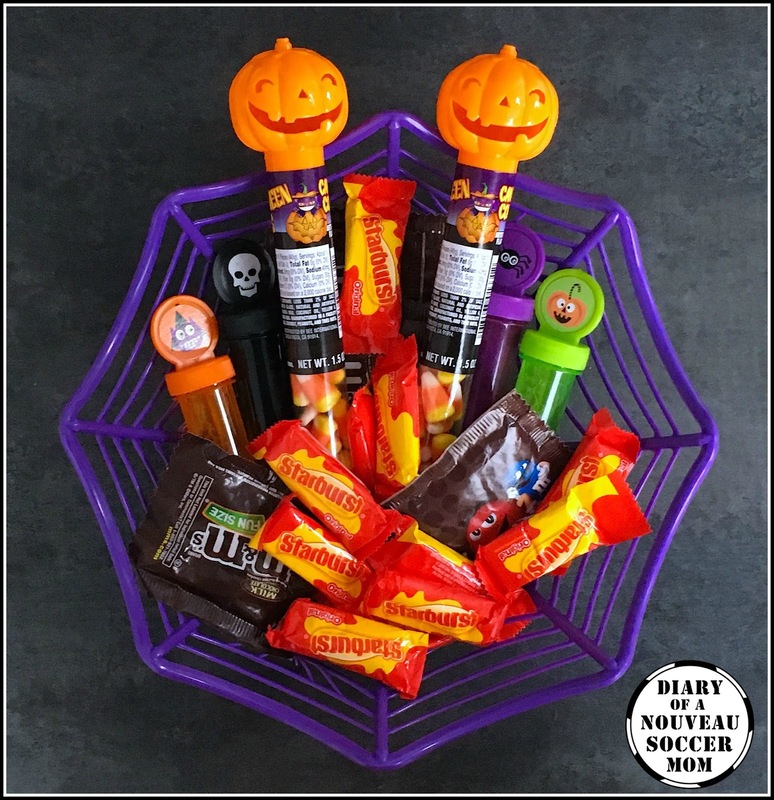 How do you make a Boo basket? Buy a basket or a pumpkin or some kind of fun carrier. Ours is an adorable purple spiderweb basket. 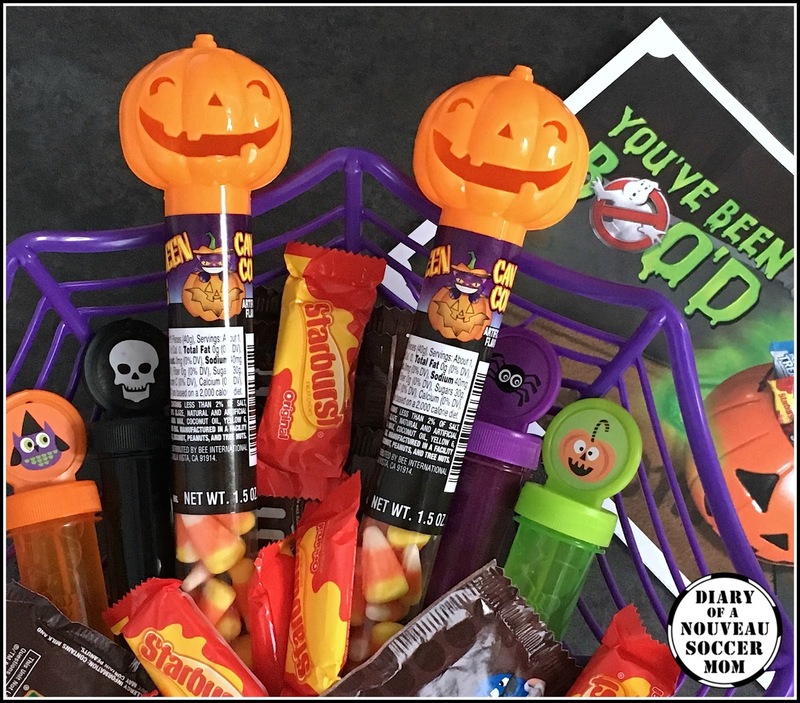 Fill it with your favorites candies--we chose some candy corns, Starbursts, and M&Ms. Add in any other fun goodies to share. We chose Halloween themed bubbles. Head over to the BooItForward page and print one of the awesome cards to top your basket. Sneak over to the neighbor's house and leave it on their doorstep with a note for them to spread the Boo next. Have you done Boo baskets in your neighborhood? I'd love to hear about your traditions. 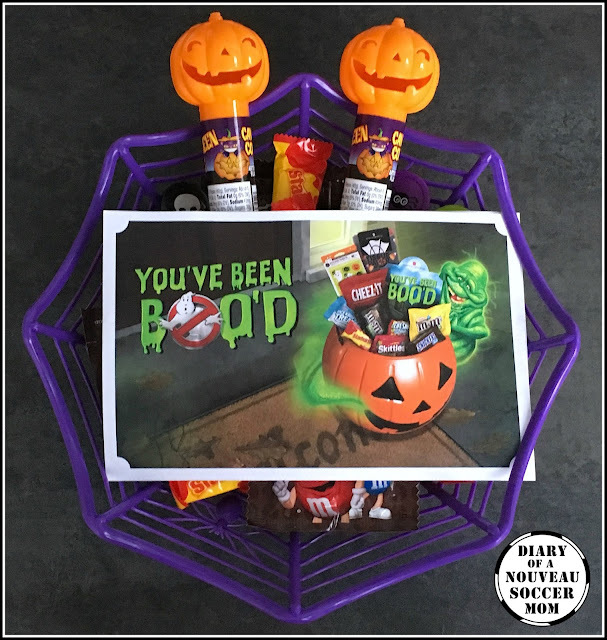 Disclaimer: We received a Boo basket including a copy of the new Ghostbusters movie in exchange for sharing this post.